Walhachin | British Columbia ROCKS! 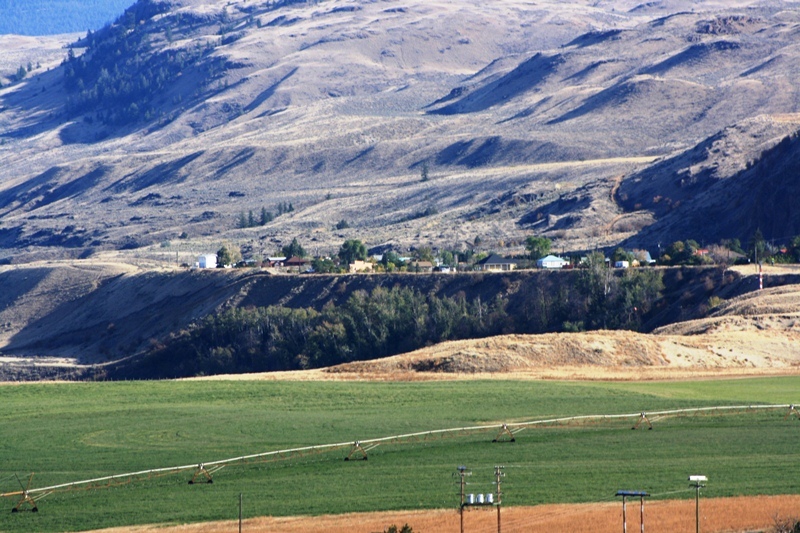 Nestled along the edge of a dry benchland overlooking the Thompson River is the tiny community of Walhachin. When one leaves the coastal region of our wonderful province and arrives here, you either like it or do not. Summertime heat is hot and dry and does not cool down like it may along the coast. This is a beautiful place. From irrigated farms to dry sage brush covered hillsides one can find wildlife of all types (Sandhill cranes, Marmots, Deer, Pack Rats, Beaver and so many more). This is serious arid country and to grow anything one needs to provide irrigation. The greening of Walhachin was a feat in itself. Just after the turn of the last century a couple people had a vision of irrigated lands producing all kinds of vegetables and fruits. How did they do that? Flume remnants at Walhachin B.C. Miles of flumes were built to transport water from Deadmans Creek to the area. 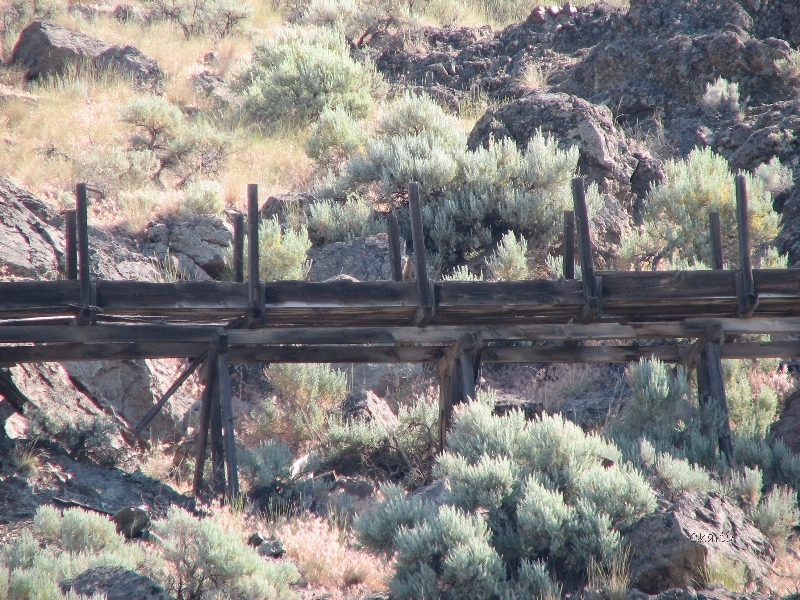 Though not in use for decades, stretches of old flume can be seen clinging to the steep sage covered hillsides where for the most part only deer and rattlesnakes traverse. This area is like a jewel to many as the love of the land, the areas history and the way of life envelopes a person. Walhachin! Try it, you will like it! 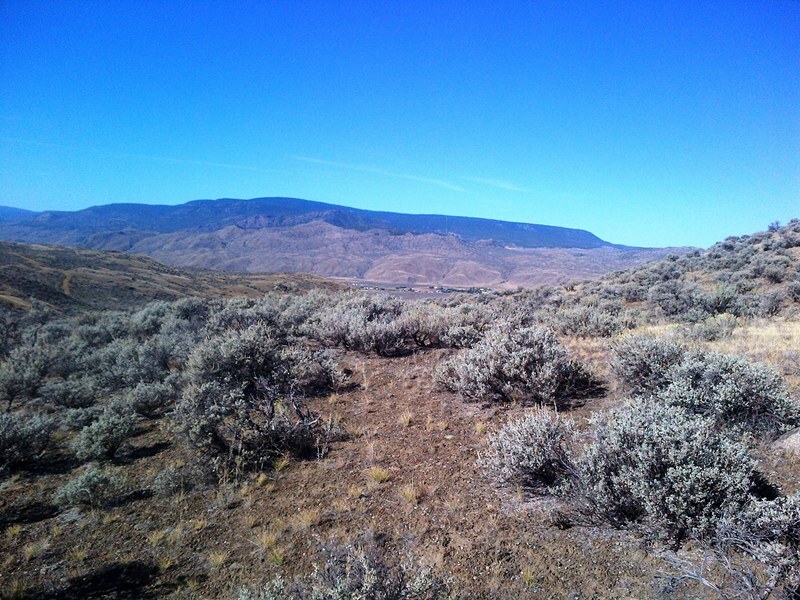 This entry was posted in British Columbia and tagged arid, benchland, deer, dry, flume, history, irrigation, sage brush, small community, Thompson River, Walhachin. Bookmark the permalink.